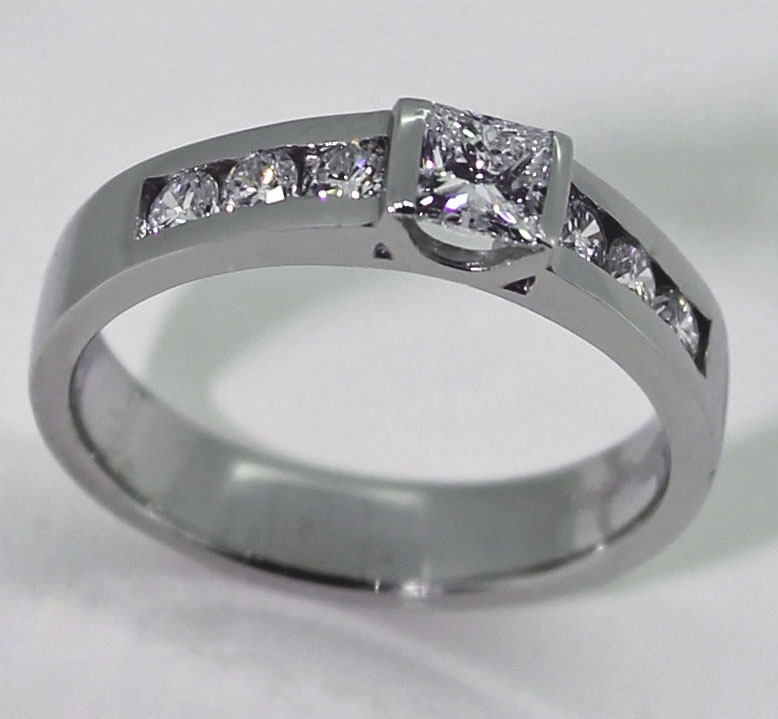 Platinum ‘Tina’ princess cut diamond ring. Central princess cut diamond stone (4mm square, 0.32ct) in a bar setting. Each shoulder channel set with three 2.5mm round brilliant cut diamonds. Made in Platinum.